I do strive to limit this post to five links but goodness abounds. And goodness needs to be shared. Be blessed, my friends. "A happy marriage is the union of two great forgivers." - Ruth Bell Graham // LeeAnn's post reflects on this quote beautifully. "We’re still choosing each other, over and over and over again, this is what we want, this is what I want, this is what we want, you are who I want, still, then, always." // Oh my. Beautiful. Plan for tears. "We are free, friends. You, sister, are free, from what Facebook or Twitter or Pinterest tells you. We no longer need to live according to the culture around us. And it’s when culture begins to wrap its tentacles around us that we forget whose we are—Christ’s, set free by his extravagant love to do one thing: love others." "Recognize the strengths in the introverts in your life. Thank them for listening. Encourage their creativity. Remind them having a soft heart in a hard world is courage not weakness. In other words, support who God created us to be. We deeply love you and we truly need you to love us just as we are too." // Let's just say Holley nails it in this post. 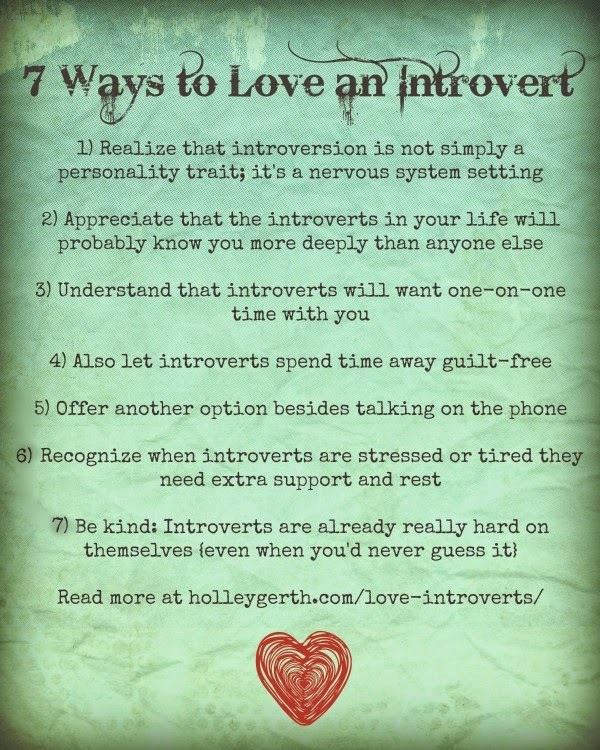 Thank you, Holley, from this introvert. Our first letter to the child we now sponsor has been mailed. My sweet and adorable friend Amy Sullivan wrote a book. It releases September 22nd. "When More is Not Enough celebrates the idea of more: more prayers cried out, more time spent together, more use of our talents, more interest in strangers, more forgiveness of hurt, more of what Jesus taught us each day of his life." Amy will share more with us on her book in October. However, don't wait until then to pre-order your copy here. 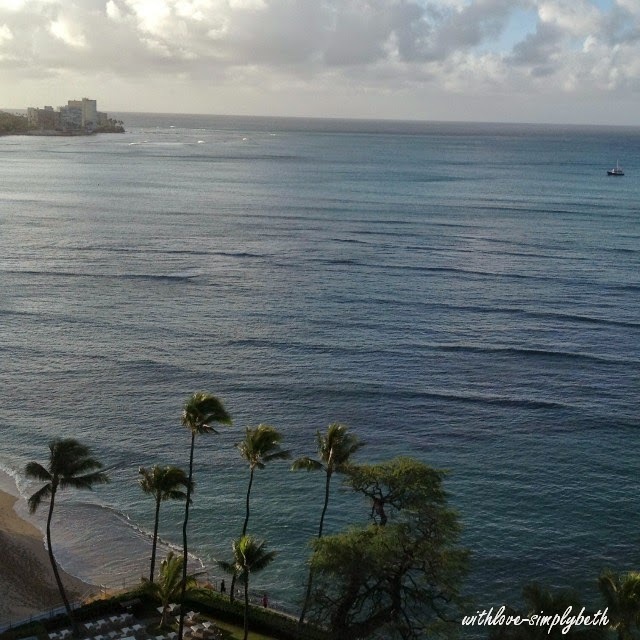 Before my husband returns home I must take a business trip to Hawaii. Yes, I must. It will be hard but I'm up for the challenge. A long-time friend decided to join me too. It took much convincing. He-he. You can expect to see pictures shared here and here. The view from my hotel. I had to go last year for a site visit. And they are sending me again. My first draft of this post had a wonderful ending. When I opened up the file again it had mysteriously disappeared. Most of what I had written disappeared. Don't you hate when that happens? Oh well. All is well. If you skipped a few links along the way, carry on with being blessed.. The last two photos were just for fun! A dear writing friend will have open heart surgery today at Noon. Please join me in praying for her and also her family. Thank you. I walked out on him one evening when we were out for dinner with my sister and her husband. Once again he changed the topic of discussion to his desire for our eldest son to enlist in the Navy. Once again I adamantly said we would not have this discussion. With that I stormed out of the restaurant. My sister and her husband followed my lead. Walking out of that restaurant and walking out on my husband happened over five years ago. Fast-forward five years to the present time. In less than 30 days my husband will return home from his first deployment as a solider with the U.S. Army Reserves. He has been away from home since November of last year. 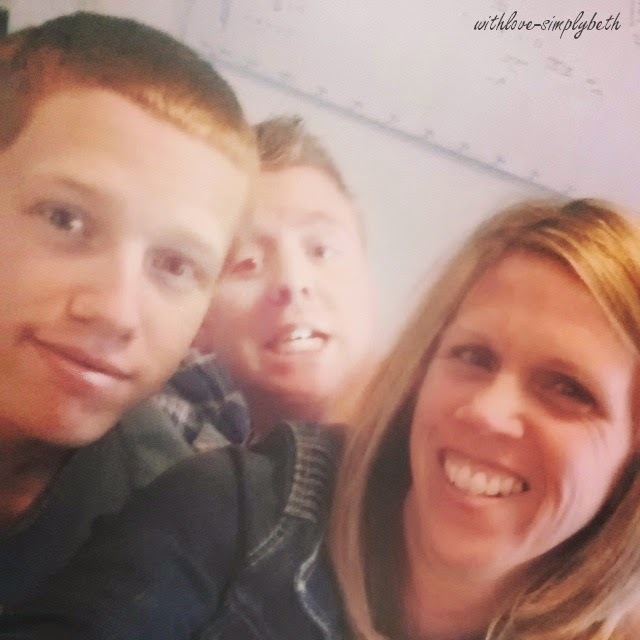 Three weeks ago I had a “see–you–later” moment with our eldest son . . . our sailor. His deployment has just begun. 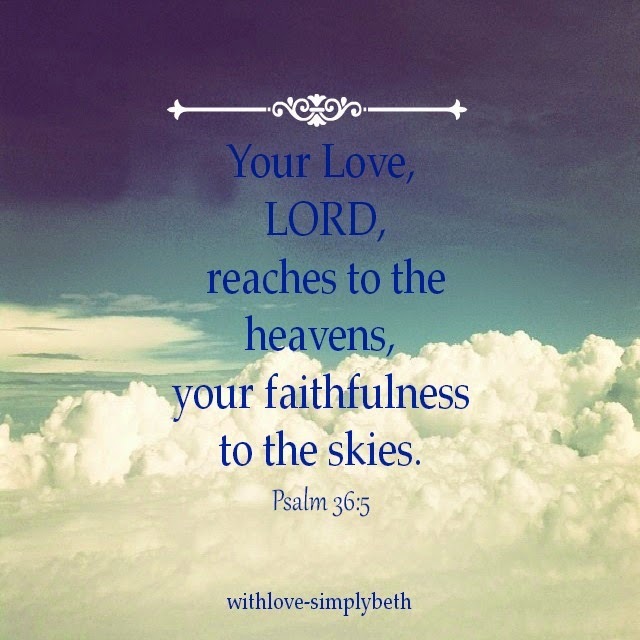 I’m guest posting at the lovely Jen Ferguson's of Soli Deo Gloria Sisterhood today. I’d love you to join me over there for the rest of this story! My husband's return home cannot come soon enough. Thankfully we are close. Oh, so close. I am often asked, "When will he be home?" It's the military. I don't believe they ever give an exact day but my standard response has been "before October rolls along." When my husband does return home there will certainly be some changes to our routines as we find a new normal after ten months apart. I have always been more of an early bird vs. a night owl. However, since my husband departed the evenings have ended earlier and the morning have started earlier. And I kind of like it that way. I have grown rather fond of the quiet time found in those early hours. My alarm goes off at 4:30 am. I roll out of bed, start up a pot of coffee and then hop in the shower. Quickly after the shower comes coffee. Must have coffee! More often than not I return to my bed with a cup of coffee in hand followed by time in His Word. Sooner than I'd like to admit, either social media distracts me or I am catching up on all the lovely blogs I follow (like yours). There are mornings when I write too. Writing until the wee hours of the night does not happen around here. The primary change will be the location of my early mornings. If I am climbing back into bed it cannot be to enjoy a cup of coffee or those other things. Most likely my morning time will move to here . 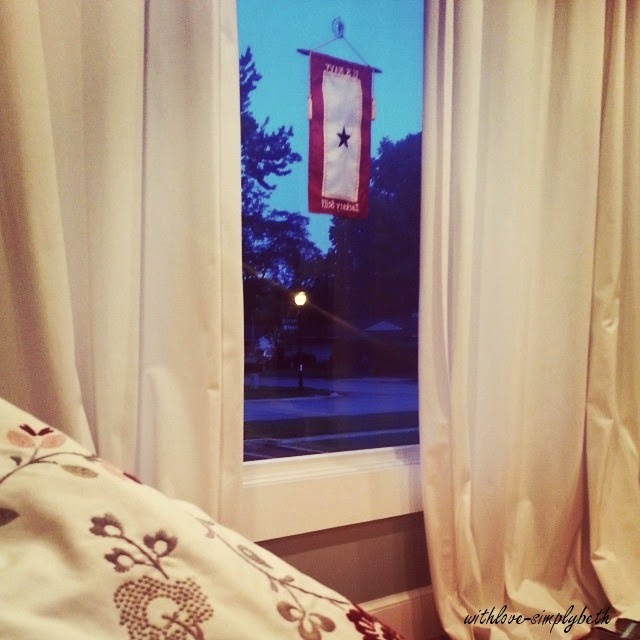 . .
On the days when weather allows I need to move my morning time outdoors. I love my Red, White and Blue. I know my husband fully supports time with God so maybe I simply need a balance between rising early for my quiet time and staying in bed a little longer to cuddle with him. When I do rise early what also needs to happen is an elimination of all that distracts me from quality time in His Word. In reality, if I made better use of my time I could probably stay in bed a little bit longer. Right now I cannot imagine pulling myself away from my husband once I have him lying next to me again. Ten months is a awful long time to be apart. How about you? Are you an early bird or a night owl? Do you have a specific routine you follow? Friends, I love our Monday's together. Thank you for your willingness to pull up a chair at our table to share more of YOU. There is always room for more so please feel free to invite a friend. They can catch up here. And stay tuned . . . coming up soon we will have guest hosts for our Get to Know You Monday time together. Super exciting!! I share goodness from the past week in no particular order but I promise if you take a few moments to click on each of the links you will walk away encouraged. "My worth doesn't come from anything I do or don't do, but from God alone. And that's enough. Regardless of what anyone says." "If you are driven to leave your comfort zone because you see others doing that thing and think you should too, then a word of caution. But if you are urged to leave your comfort zone because you sense God leading you, well then, that is another thing altogether." "I’m done with comparison, done with feeling less-than." "I want to cultivate a deep sense of gratitude, of groundedness, of enough, even while I'm longing for something more. The longing and the gratitude, both. I'm practicing believing that God knows more than I know, that he sees what I can't, that he's weaving a future I can't even imagine from where I sit this morning. Shauna's book is all about her love for gathering around the table. I would so love the opportunity to pull up a chair at her table or to have her join me at mine. Praying for bravery to send her an email. But why do I need bravery? We share a love for Christ . . . which makes us sisters-in-Christ. Send the email, Beth! Maybe she would be willing to sit around the table with several ladies from my church for a ladies night! Monday's are all about YOU because I love YOU. I am opening up the blog for you to lead our Get to Know You Monday discussions once a month. I have guests scheduled for September, October and November. Let's see how those three months go before we extend beyond but if you are interested email me at simplybeth3(at)gmail(dot)com and we will take it from there. If this is your first time here and you have no idea what I'm talking about, find out more here. Let this space be the table where we gather, friends. Thank you for pulling up a chair. There is always room for you. When I met my husband I would tell my parents we were “just friends.” In the technical sense we were “dating” but the relationship grew because of our friendship. We were (and still are) completely opposite from one another. Extrovert vs. Introvert. Confident vs. Not-so-confident. Strong vs. Weak. The fact that he liked me back took me by surprise. His qualities were different from anyone else I had dated. His ability to make me laugh to the point of tears and his strength attracted me most. I found him to be delightful. Life took a drastic turn when I could no longer stay awake past ten o'clock at night. It did not take long for us to realize parenthood sat on the horizon. We put the cart before the horse as some would say. When you're figuring how to be adults, parents and a spouse at the same time delightful thoughts can lose their place in your mind. My husband began to lose his delightfulness. If you asked him I'm sure he would say the same. Without God in my life I fell to the worldly standard of allowing feelings and emotions to drive my heart. Even with God I can still wrestle with the desire to feel love instead of deciding to choose love. I have discovered the saying “distance makes the heart grow founder” to be an accurate one. After nine months apart from my husband I expect to have a newlywed kind of feeling toward him when he finally returns home. Following how my heart feels will likely come with ease. What happens when the not so endearing quirks we both have rear their ugly head again? Like the quirks which have before led me to feel not so lovey-dovey about my husband. Will I follow my heart or lead my heart? And selfishness has once again made an appearance in this Love Dare journey. God, please rid my heart of selfishness. I made a promise to love my husband twenty-four years ago. Quirks and all, I vowed to love him as long as we both shall live. I chose him because he makes me laugh. I chose him because of a strength he has which I admire. I chose him because he is my best friend. 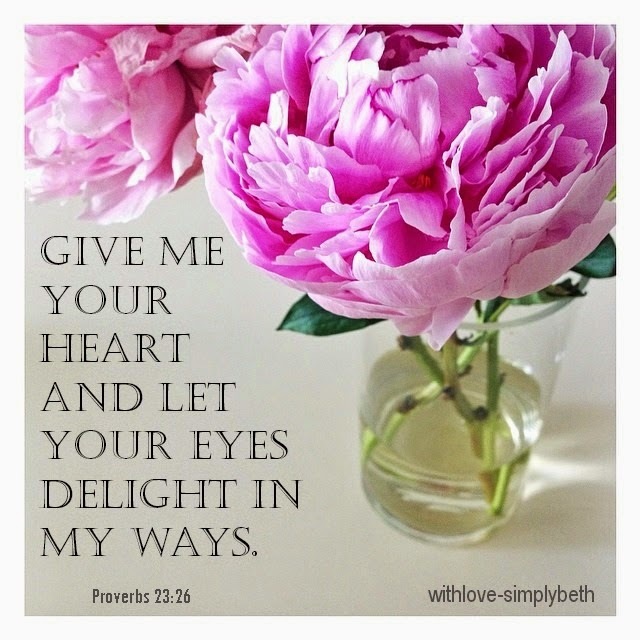 I realize my heart may be prone to wander off from time to time because of my sinful nature. But the Spirit who lives in me is greater (1 John 4:4). He will lead my heart back to love and to, once again, delight in the man I choose to spend the rest of my life with. I have a love for music. And an even greater love for musical instruments. A few different instruments were given a try during my younger years. My favorite instrument is the piano. While I am not proficient on the instrument, I do still love sitting down at mine to play a couple of my favorite pieces. The "Phantom of the Opera" Songbook typically sits open from the last time I played. You would think since I have a piano in my home I'd make use of it more frequently but life happens. Tomorrow is another day. I also have a deep love for the violin. It's one of the instruments I gave a try during those younger years. My pursuit to learn the violin did not last long. Since my mother played the piano, and rather well I might add, maybe it made more sense to steer us in that direction. I have no regrets. I'm grateful for the ability to play even if not so great. As much as I love the piano, if I had the opportunity (and the patience) to learn how to play the violin again it would be heavenly. The violin makes such a heavenly sound. Take a quick moment to be blessed by my friend Jill . . . click here. We have a violinist on the worship team at my church. She does not play every Sunday but when she does play my heart beats a little faster with excitement to hear the beautiful sound made the moment her bow touches the strings. What a joyful noise to make unto the Lord (Psalm 100:1). Now if I could learn how to sing that would be cool too. I sense an urge to join the choir. I'm praying for bravery to give it a try. Apparently being great isn't required. My last Friday Randomness post appeared right before the new blog makeover which included a new tag line. It seems appropriate to return with a new name for this hopefully weekly post: Scattering of Love . . . the love found on the web (and a few other places quite possibly). How about we limit the love found to five as to not overwhelm either of us. 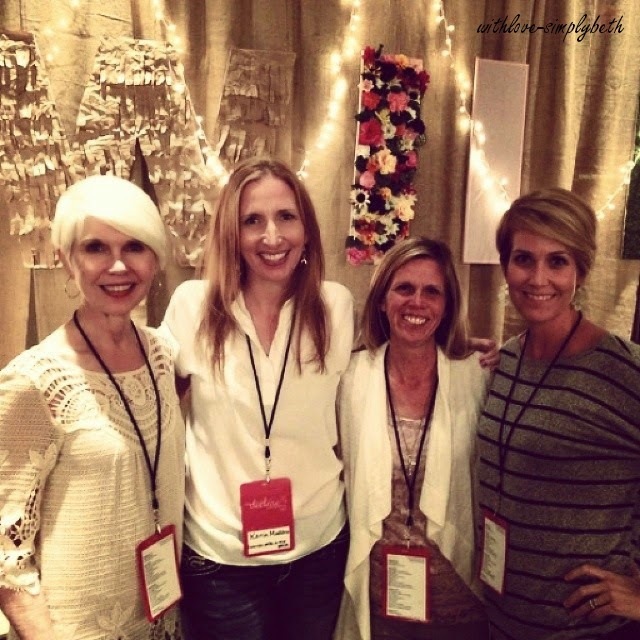 Meeting these ladies at the Declare Conference. . . oh, what a delight. No words are needed. I just love them! Hugging this fabulous lady was one of the highlights of the weekend. Did you know tickets are already on sale for Declare 2015 and they are only $80.00? If the conference wasn't over my birthday weekend I would buy in a heartbeat. My husband and I have spent my past two birthday's apart so I have every intention of being home for the next one. My daughter-in-law knows how to shop and decorate. 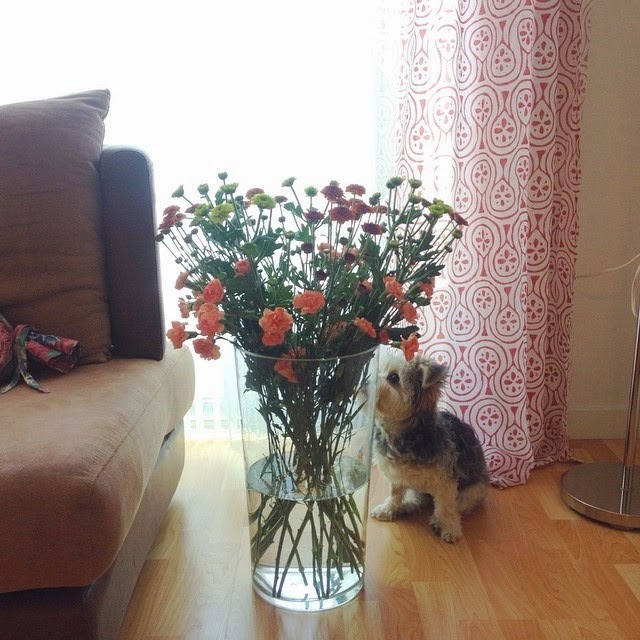 She found the vase at a thrift store and the flowers are from a local farmer's market. Beauty for only a few dollars! And her little Storm in the picture is a sweetheart. I'm off this weekend to find myself a similar vase and plan to stop at the farmer's market for flowers because I want this in my living room. As much as I love Storm, my two pups are enough. I have several books going at the moment (really hate when I do that). 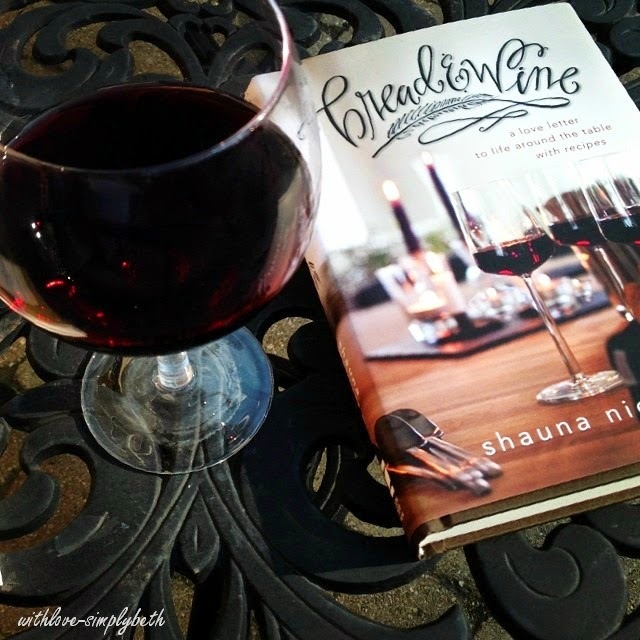 But Bread and Wine by Shauna Niequist is pure enjoyment. Did you know Shauna resides in Chicago? Do you think she would meet me for lunch and a glass of wine? I do so hope I reflect His grace, truth and love in all that I think, say, and do too. By the way, I also had the pleasure of meeting Denise at Declare. What a sweet, sweet woman. 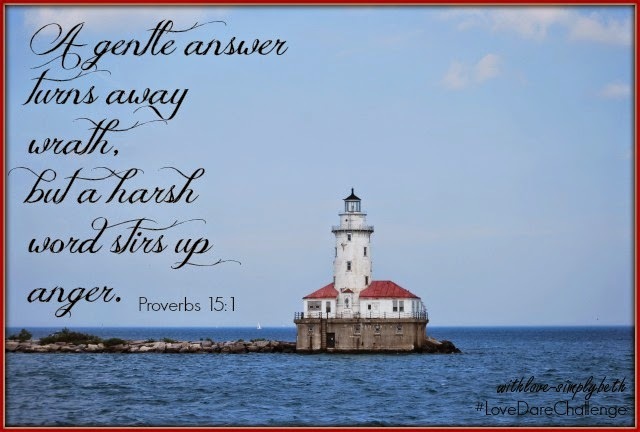 Are you studying Jonah with Hello Mornings? Even if you are not, I promise you will enjoy Asheritah's video. And I think anyone who does videos of themselves is super brave so she has won me over. For more scattering of love visit Kristen and Kristin. I know, that makes it more than five. They are worth the visit though. Until next time, friends, have a beautiful joy-filled weekend. 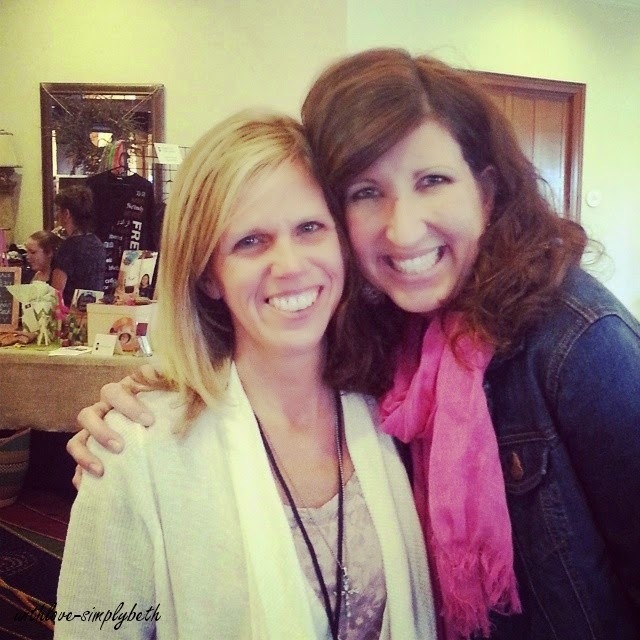 In a 4x4 of 4 Things linkup last week for the Declare Conference I shared 4 of my endearing quirks. If you recall, in the last Get to Know You Monday post I said this week I would ask you to share a few of your endearing quirks. Sounds like fun, doesn't it? I first saw the question asked on a Facebook Page for (in)Couragers Online Community Group Leaders and the responses were super fun to read through. Because I like to think I know you even better than the women I gathered with on that page, I am even more excited to read through your responses. This means you better share at least one of your endearing quirks. You know you have one so don’t be shy. Coffee must come first in the morning. I am not very endearing without it. My comfort food is carbs. I consider it an addiction. A few of my favorite carbs are bagels, pretzels with brie cheese and recently plain pancakes. The pretzels and brie cheese usually come out several times throughout the day and putting them away takes much convincing on my part. 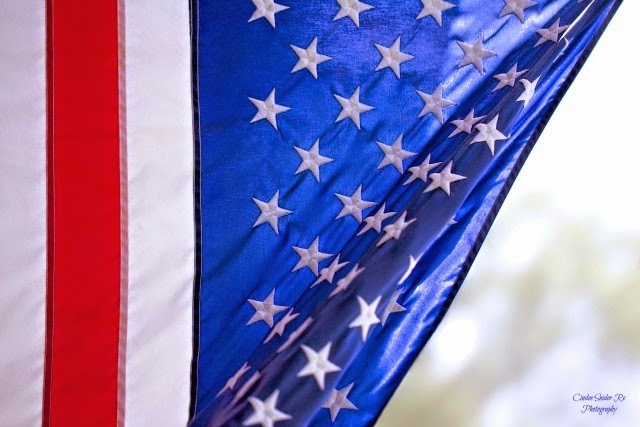 My love for our Red, White and Blue and anything containing those colors could possibly be considered as an endearing quirk. 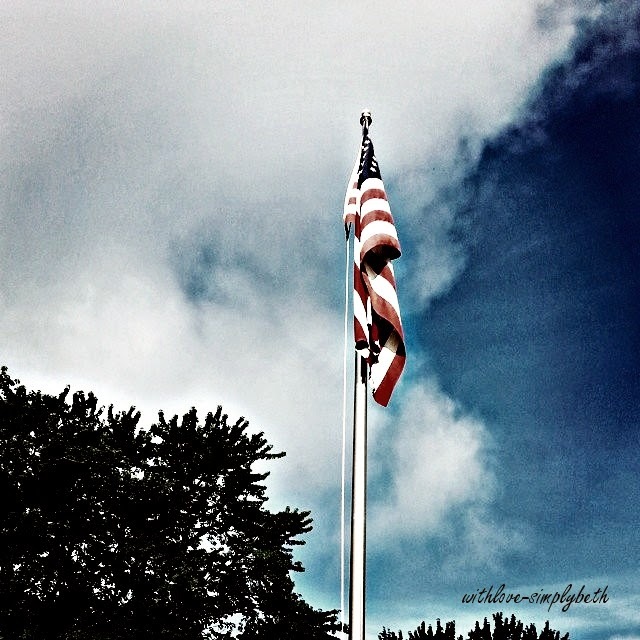 I dream of having a big ole’ American Flag hanging in front of my home. Splashes of those three colors are found throughout my home. I hate shopping. My husband finds this very endearing. To share with you a takeaway from my weekend at the Declare Conference, I am sharing one more of my quirks. Often I choose not to do something because many others are. I consider this a quirk because it happens quite often. I want to make decisions based on God’s leading. However, I have come to realize I can use that as an excuse for not taking action. I hesitate to share this as I never want to come across as boasting. But how do I not share with you, my dear friends? 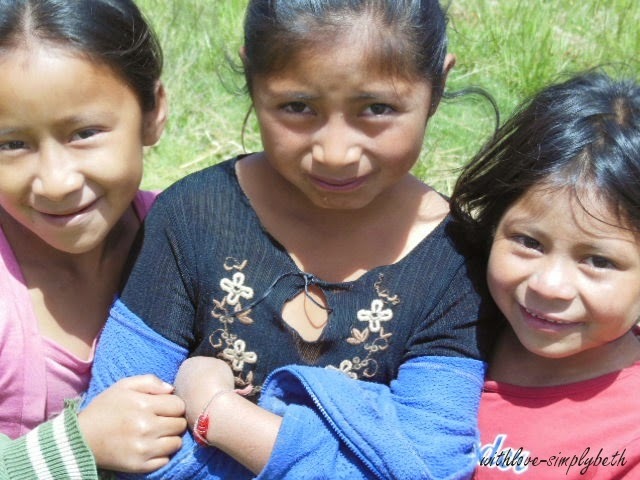 I have sponsored my first child through Compassion. Her name is Jacqueline. She lives in Mexico and will be nine years old in October. The moment I held a picture of her in my hands I felt God smiling over me. This was my something I needed to do. Your turn. What are a few of your endearing quirks? Or maybe not so endearing. P.s. 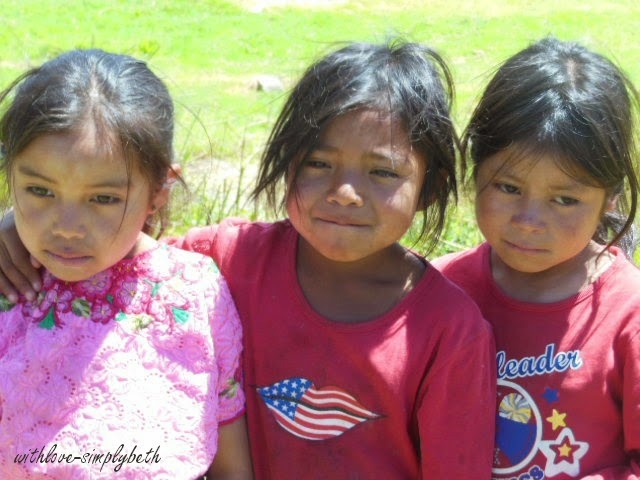 The photos are from my trip to Guatemala in August 2013. My heart has been stirring to do something since that trip. 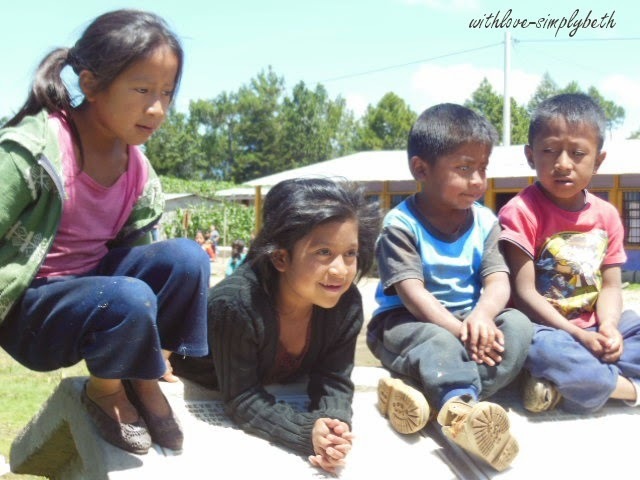 Sponsoring a child through Compassion International feels so right. When Lisa-Jo Baker’s book Surprised by Motherhood released, I admittedly convinced myself the target audience most likely did not include mothers of adult children. Why I convinced myself of this I do not know other than to say Satan surely played a role. Even though my children are now young adults I never stop being their mother. They may no longer solely rely on me for daily survival but they are still my children. Of course Lisa’s book also applies to me. “A mother continues to labor long after the baby is born” (Lisa-Jo Baker, Surprised by Motherhood, pg. 8). My husband and I are parents to two boys who are 24 and 22 years old. The first twenty years of our marriage did not include God. Until four years ago, we relied on our own strength to be parents to these boys of ours. Our own strength failed them miserably. They watched their parents go through emotional abuse, addictions, affairs and two separations. In my eyes, we were the worst parents ever and had set our children on a similar path toward no good. God's amazing grace rescued our family of four. He gave us a reason to have hope. Hope for better. I can now look back at the brokenness and see how God takes our messes and makes something beautiful. 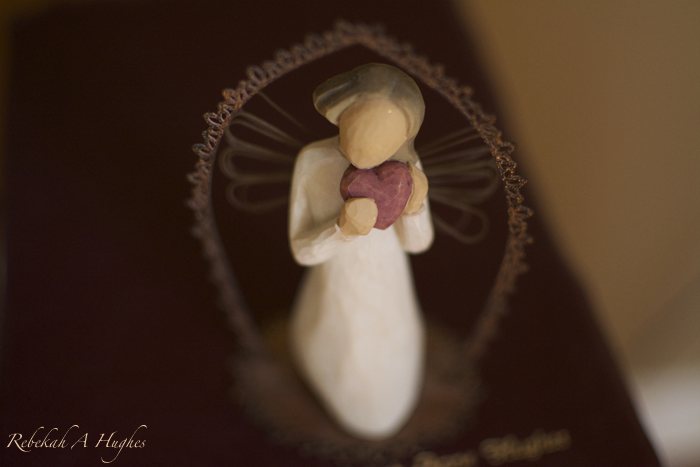 I am sharing at my friend Katie's of Echoes of My Heart today as part of her Open Hearts series. The post went live on Tuesday but I decided to use for my Three Word Wednesday post. I do not have the heart to ask you to read too many posts in one week. Join me here for the rest of my story. Note: The Love Dare series will continue next week with Dare #13, Love Fights Fair. 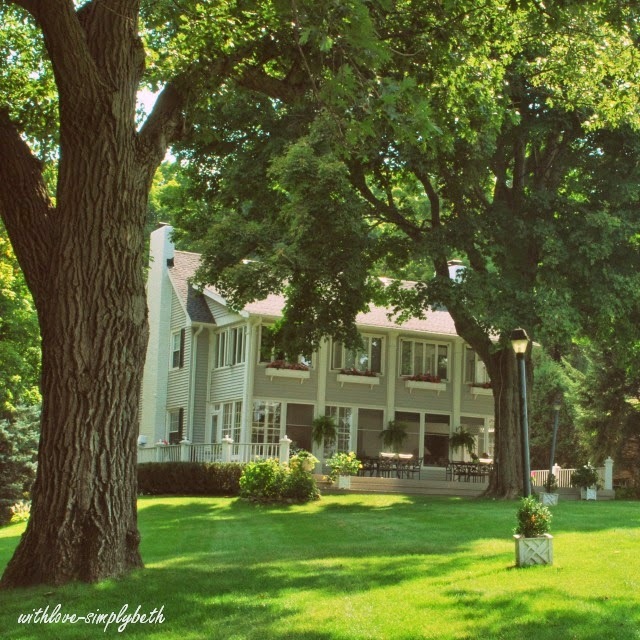 Growing up my family owned a home in Lake Geneva, Wisconsin. Our home sat on the narrowest point of the lake. Many summers were spent in that home and on the lake. We would also take off to spend a long weekend there throughout the year. The fall months were gorgeous. I loved the smell of burning leaves. Something I haven't smelled for a long time. A current picture of the home . . . it looked much different when it was ours many years ago. 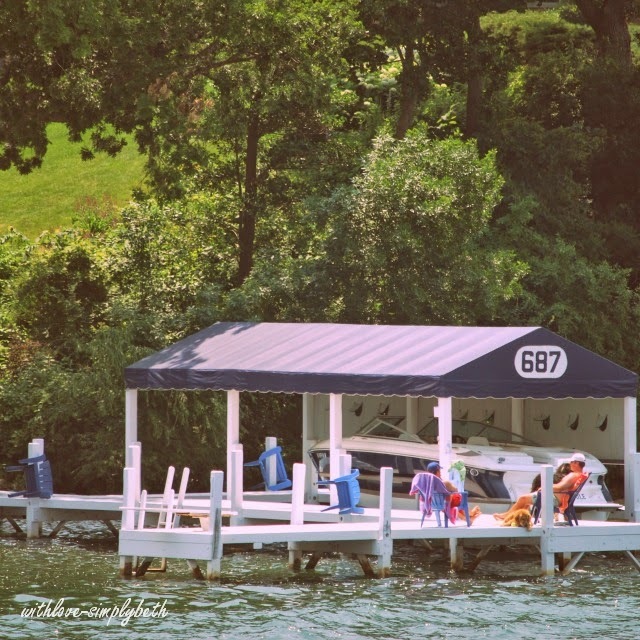 The summer months included lots of time hanging out on our pier, swimming in the lake and gathering up for a boat ride. With ten kids in tow, I don't think we ALL gathered for those boat rides. I could be wrong. Again, a current picture (not from our days). My parents named their boat "Windsong." The name came from a song written by John Denver titled "Windsong." Yes, my family grew up with a serious love for John Denver. For some reason, a memory that has stuck with me is receiving news that our boat came unanchored and floated off. It happened to be found hanging out by the Wrigley's home. Like William Wrigley of The Wrigley Corporation! 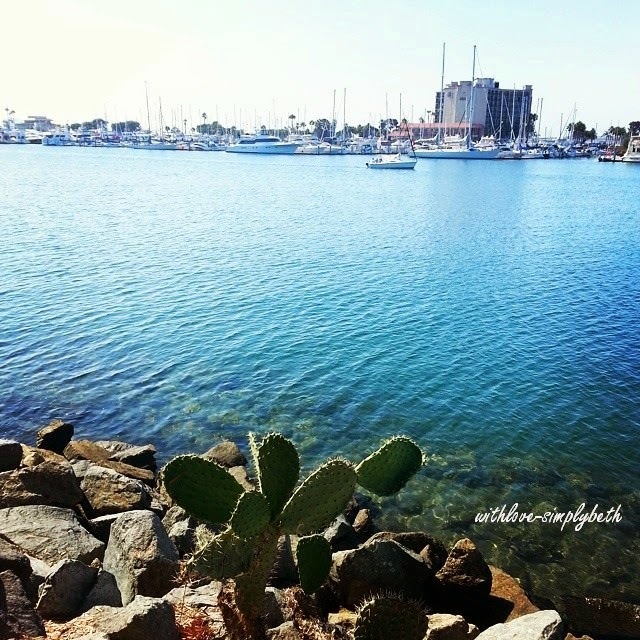 While I have a slight fear of water (please don't ever dunk me) I love being by the water and on the water. A long boat ride with the wind blowing on my face equals joyful times. Only if there are no storms on the forefront though. I do have a scary memory of being caught out on our boat in the middle of a storm. 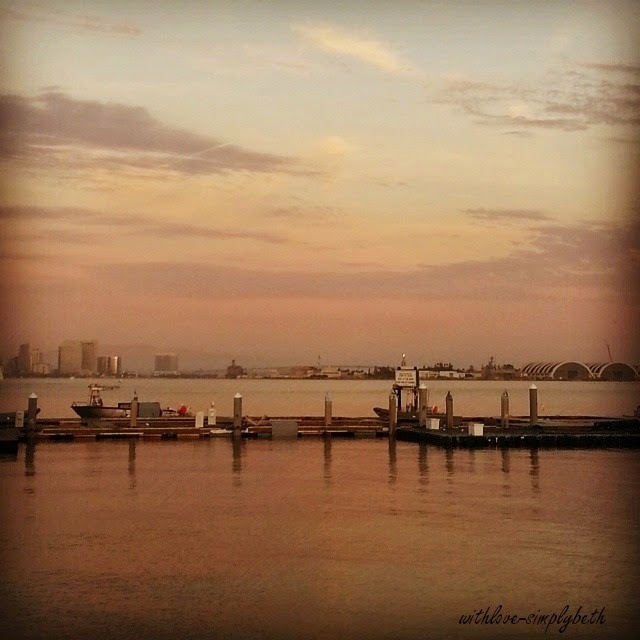 My time in San Diego last week included a few walks along the San Diego Bay. To give my son and his wife alone time before he headed out on his deployment, I spent one evening on my own. I walked to a marina near the military base and found myself wishing I could convince one of the locals to take me out an evening boat ride. Being that I am an introvert that did not happen. Instead, I started dreaming up names for the boat I decided we would one day own. Coming up with a name isn't so easy. I am somewhat indecisive. But . . . there is one name I keep coming back to and that is "Habakkuk." The Book of Habakkuk is the eighth book of the 12 minor prophets and attributed to the prophet Habakkuk. The name Habakkuk means "embrace" or "wrestle." God prompted me to read this book last year. My one word in 2013 was Embrace. When I first began reading Habakkuk I did not know what the name meant. God works in amazing ways, doesn't he? In the three chapters of the book we see Habakkuk wrestle with tough questions, but his final response is to embrace God and trust in Him. This feels much like my faith walk. The book remains one of my favorites because I can relate to his struggle and final response. Naming my boat Habakkuk would serve as a constant reminder to embrace God and trust Him no matter the circumstances. 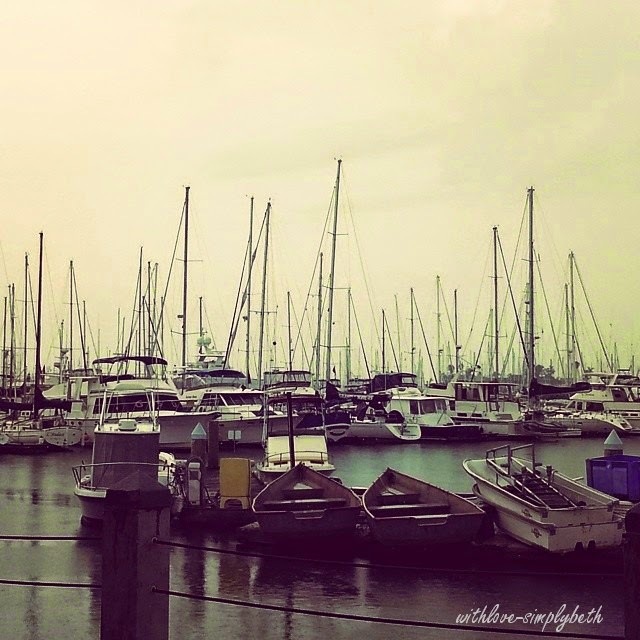 Even if I am on my future boat in the midst of a storm. Sounds like a good name to me. What would you name your boat? I do realize I could be giving you a tough question to answer and risking very few comments to this post. If you need to come back after pondering for a few days, no problem whatsoever. If you cannot come up with a name I have another option for you. 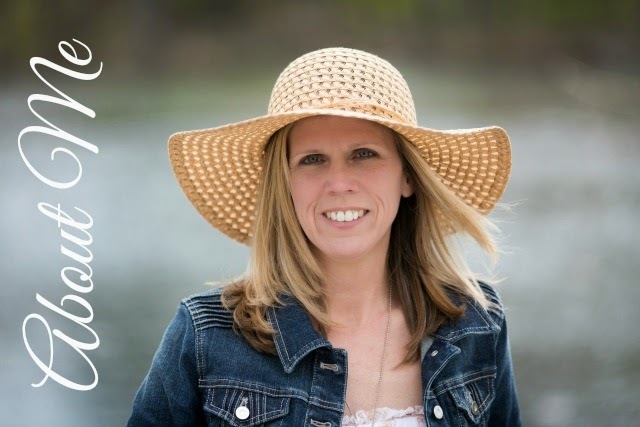 Maybe you missed my post from Saturday where I share a few things about myself as part of the Declare pre-conference linkup. You can read my post here. Would you share one of your favorite things? The endearing quirks will be next week's question so don't share any of your quirks just yet. I’m going to the Declare Conference. Yippee! To get to know one another prior to the conference attendees are participating in a link up. I really hate talking about myself. However, I am super excited to learn a few things about the other attendees so here goes. If you visit me regularly here maybe you will learn something new about me so please don't go away just yet. Can I also tell you the nerves are setting in as the conference date approaches? I love the friendships made in the online world and many of those friends I have been blessed to meet in real life. A conference? It’s a whole different ball game for an introvert who prefers small gatherings. Like one-on-one gatherings. But God said “go.” I've experienced the blessings which follow our yes to God so how could I say no? Okay, now here goes . . . I turned 45 on July 30th. In October I celebrate 24 years of marriage to the love of my life and best friend. I consider it adorable to be married to him for more than half of our lives. How did we meet? When my husband’s high school closed down after his junior year he transferred to my school for his senior year. Even though we traveled in the same circle of friends we did not connect until shortly after we graduated. As my husband would say, “At a New Year’s Eve party (the same year we graduated from high school) she started following me around like a lost puppy dog and the rest is history.” I would tell the story somewhat differently. His may be more accurate. God blessed us with two amazing boys who are now young men (24 and 22). They bring me (us) so much joy. We are a military family. My husband serves in the Army Reserves and our eldest son the Navy. Surprisingly, both of them enlisted within a few months of each other. They are both currently deployed. My husband’s deployment will soon come to an end and my son’s has just begun. The last time we were all in the same place was August 2013 and it will be 2015 before we are all together again. My husband and I both became Christians in 2012. Becoming a military family actually led us to God. You can read our story of transformation here. It still gives me goose bumps. I started blogging before I accepted Christ. I actually wrote in my sixth blog post (under a different blog name) that you would not find me writing about faith. God obviously had other plans. Never did I dream of becoming a writer. Writing did not even appeal to me in my younger years. But God’s plans for us are always better than anything we can dream of. I’m grateful for this journey of being a writer He has taken me on. The writing does not come naturally for me though. Many hours, even days, are spent on a single post. I will not say writing is painful; it can be hard. The thoughts twirling around in my head do not flow easily to the written form. What will you find on my blog most weeks? Get to Know Your Monday. Every Monday I post a question on my blog and we get to know one another better. It’s much like what we Declare attendees are doing with this post. It has become my favorite day of the week. Three Word Wednesday. 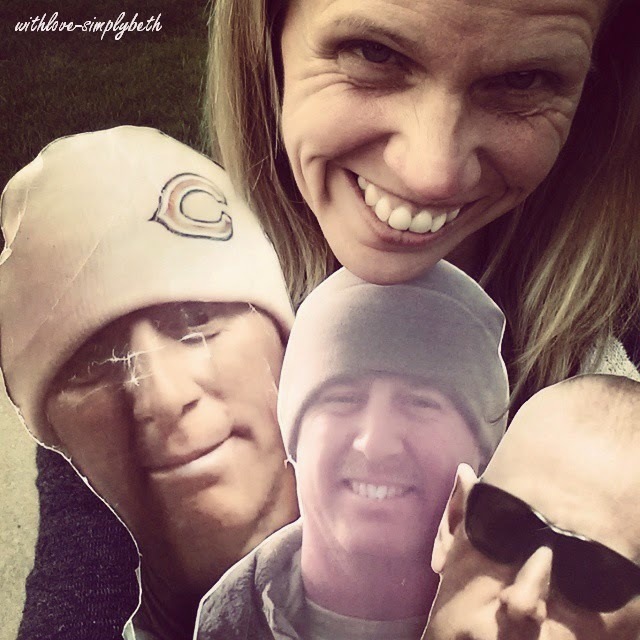 I host a weekly linkup on Wednesday’s. You choose three words and then share a post, photo or scripture that highlights the three words you have chosen and linkup. It has become a wonderful community of writers and I would love for you to join in. Friday Randomness. I highlight random things from my week I loved. It typically includes several of my favorite blog reads from the week. I love sharing how others have blessed me. Coffee. I take mine with cream (preferably vanilla flavored) and sugar. My phone. With my husband and son currently deployed it never leaves my side. Traveling. Since our children are now adults we have more opportunities to travel. At least twice a year my job also takes me to wonderful places. Come early September you will surely find me sharing lovely pictures from Hawaii here and here. I love my job! My family. They are my favorite, favorite thing. Whenever we are together I am smiling big. Are you going to Declare? You can link up your 4x4 of 4 Things here. I can't wait to meet you! And if you are not going to Declare, I'd still love to learn something new about you. How about choosing one of the above 4 categories above and telling me one thing? Consider it a special edition of Get to Know You Monday.